Property services ads in Melbourne. Thank you for visiting our free advertising website Property services, Melbourne section. We provide high response free classifieds and free advertisement. Use our online free Property services classifieds placement system to find, list, offer Property services online! Do you want to purchase a new building in Melbourne, and looking for best Building Inspections service provider in Melbourne? Then 360 Degrees Property Inspections provide extremely pre-purchase inspection services at the best price. From the Last 16 years we involved in every form of construction of small houses to schools, churches and even large basketball stadiums. 360 Degrees Property Inspections is the industry's leading company specialising Building Inspections Service in Melbourne. We have the industry's best building inspectors on board who have a minimum of 25 years of experience in the building trade and know all the tricks. We proud ourselves on our fast turnaround. 360 Degrees Property Inspections is one of such reliable and professional service provider of Building, property, pest, and house inspection service in Melbourne. We offer a complete range of property inspection to homeowners, real estate agents, builders and many more in Melbourne. Our highly experienced property inspectors will analyze your property like electrical safety, foundation and support structure, fireplaces, and more. Finely curated approach that brings distinction to the residential property management industry which ensures your experience with us will show that both landlords and tenants are valued, respected, appreciated and responded to always.. Aspire Advocates emerged from a realization that the real estate industry is fundamentally skewed in favor of vendors. Buying a home or making a substantial investment in property is one of the most significant decisions most people will make. Seeking professional advice about this decision has historically not been the norm in Australia. We are Melbourne most Qualified & Experienced property Buyer Agent in Melbourne. We will give you the complete guidance regarding buying or investing property in Melbourne. For more information about property advisory services, you can call us on 1300 760 901..
360 Degrees Property Inspections provide trustworthy Building Inspections, House Inspections and Property Inspections Services in Melbourne at affordable prices. With many years of experience in this field. All our inspectors are fully qualified, insured and experience and uses only the latest technologies. 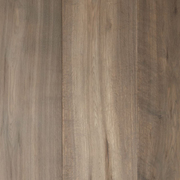 360 Degrees Property Inspections is leading provider of the Building Inspections Service in Melbourne. We provide the excellent building inspection service at the most competitive price. Our highly experienced building inspectors will analyse your building, build the report and will hand it over to you within 24 hours of inspections. It is necessary to maintain your valuable investment - your property which can be time-consuming as well as stressful if done personally. 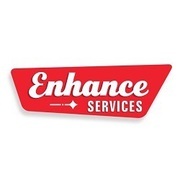 We, at Enhance Services, work with you to provide a full Property Maintenance in Melbourne. Our professional team has the experience and expertise to maintain your property, all year round. DSB is your end to end solution for property development services, from feasibility and concept, to build and marketing/sale of dwellings (licensed estate agents). Subdivision is the process of dividing a large land allotment into two or more smaller land allotments, each on their own separate title. http://www.dualocc.melbourne/. 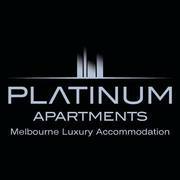 Providing the best value on luxury accommodation in Melbourne is a specialization of Platinum Apartments. Our luxury serviced apartments are among the finest executive accommodation in Melbourne. Whether you are looking for a luxury CBD apartment or luxury accommodation this is the place for you. Our Melbourne penthouses for rent from Platinum Apartments are in a class of their own. Need expert property solicitors in Melbourne? 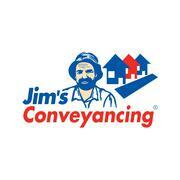 Jim's Property Conveyancing is the best choice when you're looking for trusted property lawyers. You can be assured of consistent, brilliant service and the highest level of expertise from our franchise lawyers and conveyancers. Call us at 1300 248 217..
New house building inspections and Pre purchase property inspections in Melbourne by knowledgeable inspectors. For any query call us today on 1300 76 12 67 http://landmarkinspections.com.au/. Experienced independent property advocate that works closely with clients to get them the best results whether they're buying or selling in Melbourne. Address: PO Box 895 Northcote VIC 3070 australia phone# 04 0407 8567 Website:	https://grandviewadvocates.com.au/. A flawless property or home is what everyone desires at some stage of their life. We know It takes a lot to build a dream house of your own. Therefore, we make sure that your dream property or house is in a flawless condition. 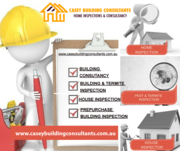 At Casey Building Consultants, we provide expert services like pre-purchase Property inspections, pre-purchase Building inspections, New house inspections, Pest and Termite inspections, Water leakage inspections and many more. We are provide the best commercial property development service in Perth, WA at dbd.global. Our property developers are expert in commercial building development. Visit for more details! Contact us: - Company name:- DBD GLOBAL Business Mail id:- shivin@dbd.global Address:- 97 Meadowview Dr, City:- Ballajura County:- Western Australia Post code:- 6066 Country:- Australia Phone:- 0401171713 Visit Here :- https://www. For too many Australians, legal representation during property disputes and civil litigation is simply out of reach financially. Boutique Lawyers empower you to win your case, whether you’re facing off against an unjust property owner, or battling a developer to see your dream home built. 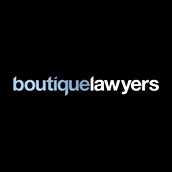 At Boutique Lawyers, we believe that you should always come first, and we will always strive to represent you and your interests to the best of our ability. Valuations VIC is an independent property valuation company based in Melbourne offers property valuations and consulting relating to Retail, Industrial, Residential and all property types. To know more about their services, please visit http://www.valuationsvic.com.au/ or send them an email at valuers@valuationsvic. Australia free ads for Property services, Melbourne, Property services free ads Melbourne, Property services for sale Melbourne, Property services to buy in Melbourne. Find on this page free classifieds for Property services in Melbourne. This listing includes classifieds for sale and to buy in Melbourne. FREEADSAustralia Melbourne offers you a platform to post free advertisements or classifieds for Property services in Melbourne. FREEADSAustralia helps you search, find buy, sell, rent or hire in various categories like apartments, goods for sale, local services, cars , jobs and many more in Melbourne. If you posted an advertisement in category Property services of FREEADSAustralia Melbourne before please use Edit my ads button to change or cancel your ad. Property services Melbourne ads Melbourne, Property services classifieds Melbourne, Property services free ads Melbourne, ads for sale Melbourne, ads to buy Melbourne, FREEADSAustralia. Find here ads for sale, to buy and rent in Melbourne. Goods for sale in Melbourne, vehicles for sale in Melbourne, Melbourne real estate for sale, Melbourne property for sale, property for rent in Melbourne, business ads in Melbourne, Melbourne business classifieds, services in Melbourne, Melbourne services ads, jobs in Melbourne, pets for sale in Melbourne, Melbourne dating, Melbourne cars for sale.